Sometimes research can seem to go frustratingly, time-wastingly wrong. Last month I went to Paris to do some final (ha!) 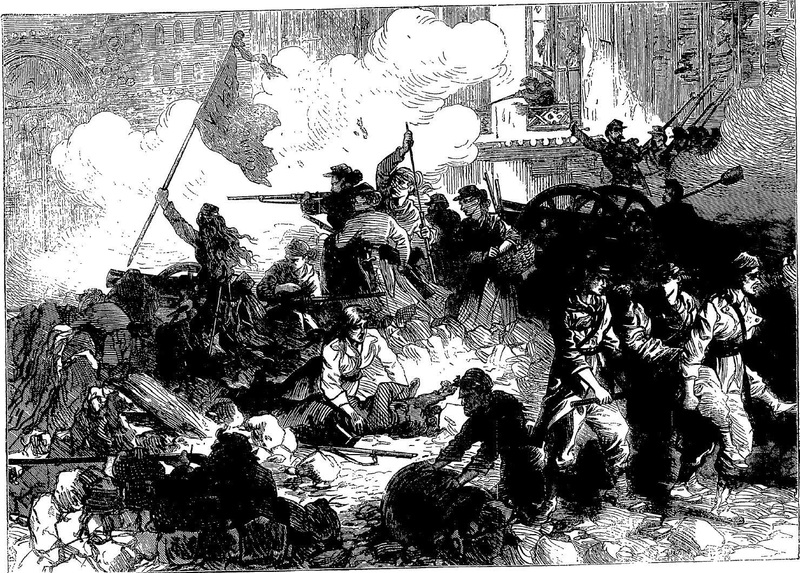 research for my new book Liberty’s Fire, which is set in the ‘terrible year’ of 1871 when Paris, under the Commune, found itself besieged for the second time in a few months – not by the Prussians, but by France’s own army. Among other things, I planned to fill a hole by getting myself to the National Museum of Photography, recently reopened at Bièvres. The museum boasts 30,000 different cameras and accessories dating back to the earliest years of photography. I’d checked the website numerous times. I knew I had a fairly short window of opportunity, as the museum only opened a few afternoons a week. On my previous research trip to Paris last March, I’d been fantastically efficient about communicating with certain museums and archives in advance to make sure I’d definitely be able to see the material I needed. This time I was in a more relaxed, end-of-project, flâneury sort of mood. It simply didn’t occur to me to phone the museum in advance. Bièvres, which claims to be the ‘capital of photography’, styles itself ‘un village aux portes de Paris’ – a village at the gates of Paris. 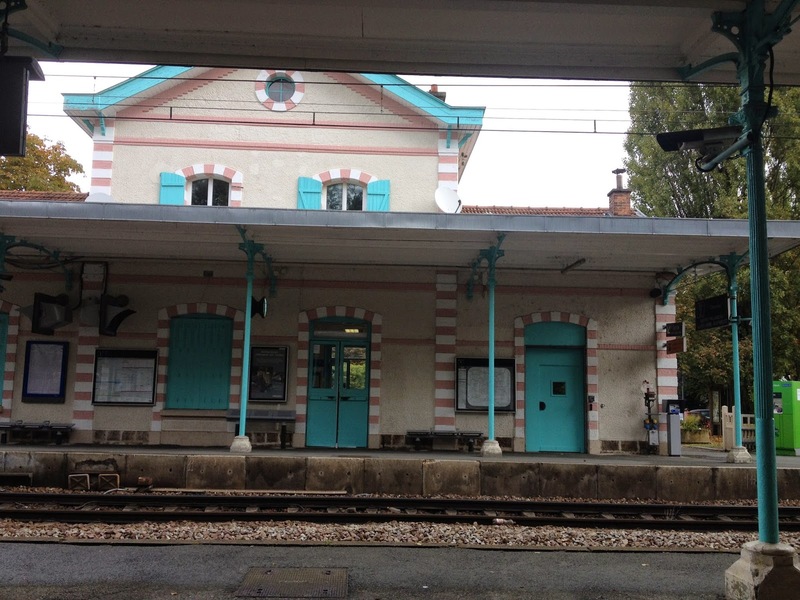 I was coming from St Germain-en-Laye and the journey took hours: three complicated train changes, each one involving a long wait between trains, culminating in a decent walk from a deserted station. Plenty of time in which to fantasise about all the wonderful material I was going to find when I finally arrived, all those telling details that would bring key moments in my book to life. I convinced myself that I would stumble on exactly the camera my photographer character would have used, and get a real sense of the scale and design of the developing equipment. I could already practically see the reconstruction of a mobile darkroom which the curators of this museum would naturally have lovingly installed, for how could any visitor truly understand the curious processes of wet collodion photography without such a thing? I was prepared to be granted insights that could be acquired nowhere else. All that precious time wasted. It was unbearable. Back at the deserted station, waiting another aeon in the first leg of another complicated multi-suburban-trained journey into the centre of Paris to visit the National Army Museum, whose website had assured me that the collections covering the years from the end of the Napoleonic wars to the Commune were now on display, I gnawed at a pear and despaired. And then the train arrived. I got on, and nearly burst out laughing. 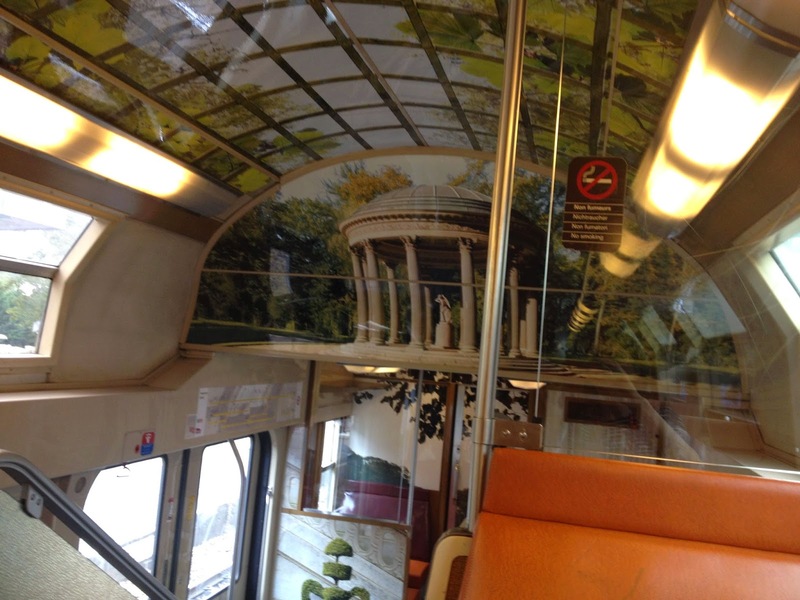 It had grubby orange vinyl seats and smelled like a pissoir, but every wall and ceiling was lavishly decorated with photographs from the Château de Versailles. Luxury and poverty seemed in violent collision on this train, just as they had been at the end of Second Empire France, when Napoleon III fled to Chislehurst after his defeat at Sedan, and the people of Paris rose up to claim their municipal rights. At that moment I turned psychogeographer and let myself drift. I am absolutely no expert on Debord, my acquaintance with the Situationists is passing, and I can only really cope with Iain Sinclair in bite-sized chunks (his London Review of Books articles suit me perfectly). But Walter Benjamin has been by my side for months, and I suddenly saw a serendipity in this journey becoming the main event. My expedition ceased to be a failure and became something else. This kitschest of trains (my photographs don’t do justice to its photographs) then trundled me through places I’d been reading about for the past eighteen months. Coming from La Defense earlier, I’d already passed through St Cloud. 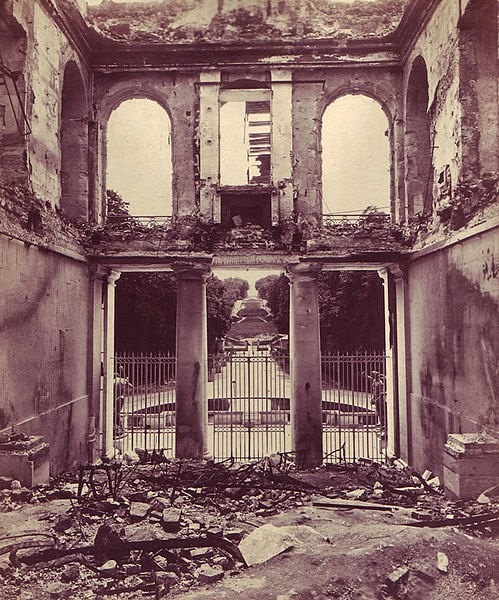 In 1871, photographers like Adolphe Braun had come there to photograph the devastation caused by the Franco-Prussian war. The most dramatic of St Cloud's ruins was the vast château where Napoleon III and Empress Eugenie used to hold court in spring and autumn. No sign of that now, but from the train window, I’d looked at the cranes and a few stray fin de siècle turrets and out across the trees to Paris. On the far side of the city, I could see the Sacre Coeur hovering whitely over Montmartre. The basilica was built as a symbol of conservative moral order, a penance for the sins of the Franco-Prussian war, but more significantly, for the ‘crimes’ of the Commune. It covers the very spot where the revolution of 1871 erupted, when the Government of National Defense (which had ruled the new Republic since the fall of the Empire) tried to remove the cannons bought by public subscription to protect the French capital from Prussian attack. It was only twenty-three years since the capital’s last bloody uprising. The Government immediately fled to Versailles, recently vacated by the victorious Prussians, the Commune was duly elected and declared in the capital, and then the fighting began between Paris and ‘Versailles’, between the National Guard militiamen and the Army of France. It was a civil war in miniature. 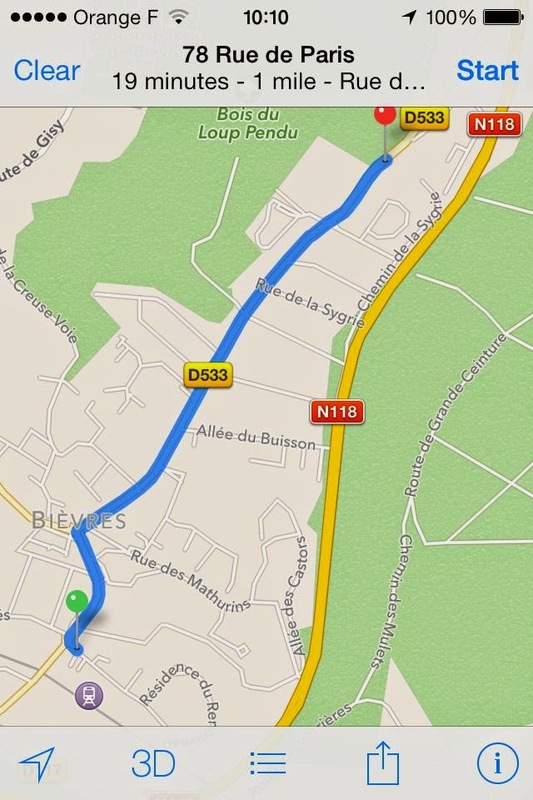 My journey that day took me right over its battlegrounds. Nearly every station we stopped at, all those names flickering on departure boards, triggered images and memories connected with my research. Issy, near the Porte de Versailles, had been a key strategic point in the war: as long as the Communards held the Fort, they could block the route of the Army into Paris. They lost control of it disastrously, on the night of 7th April, after which the fighting and bombardment became ever more bitter until Paris itself was invaded on the night of May 21st. 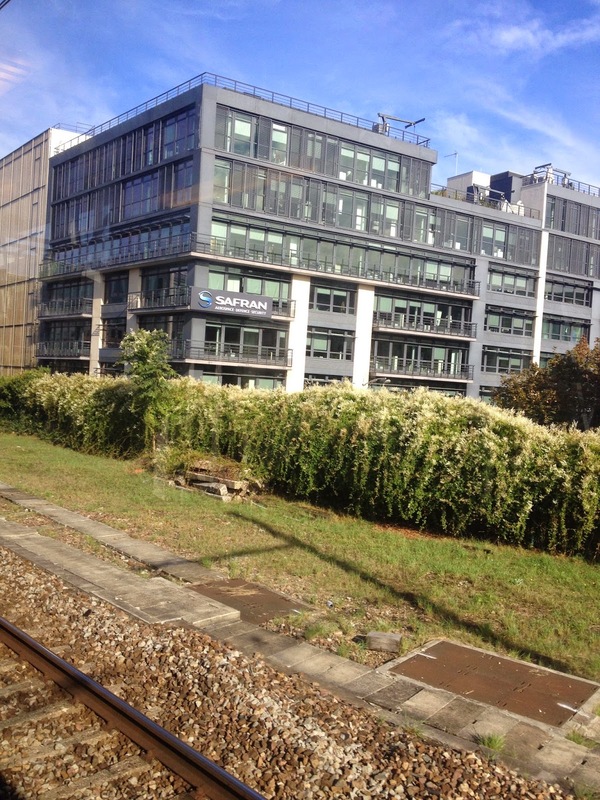 No sign of it from the train – I discover now that the wasteland where the fort once stood has recently been turned into an ‘ecoquartier’, a fifth of which is social housing - but I felt an odd (psychogeographical?) frisson when I noticed the office building of Safran, a multinational defense group. 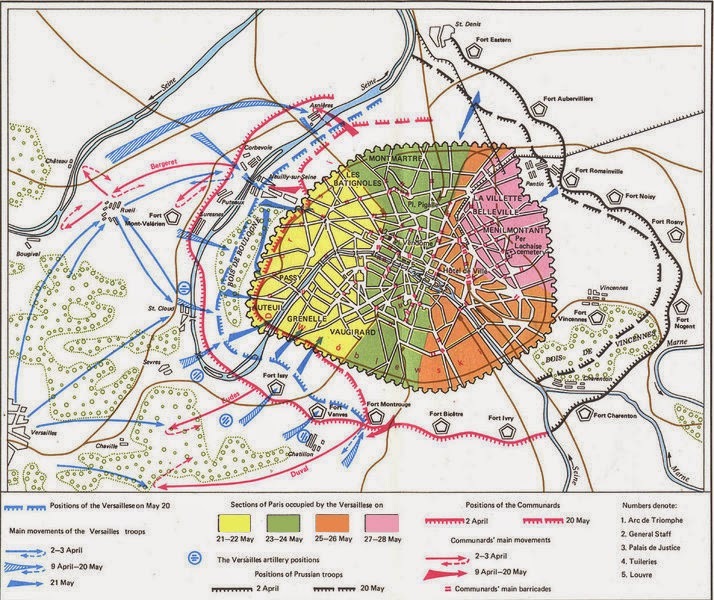 All these edgelands of Paris - Puteau, Montretout, Mont-Valerian, Boulogne…all had been the sites of significant battles or artillery batteries at a time when French shells were falling on the Arc de Triomphe. 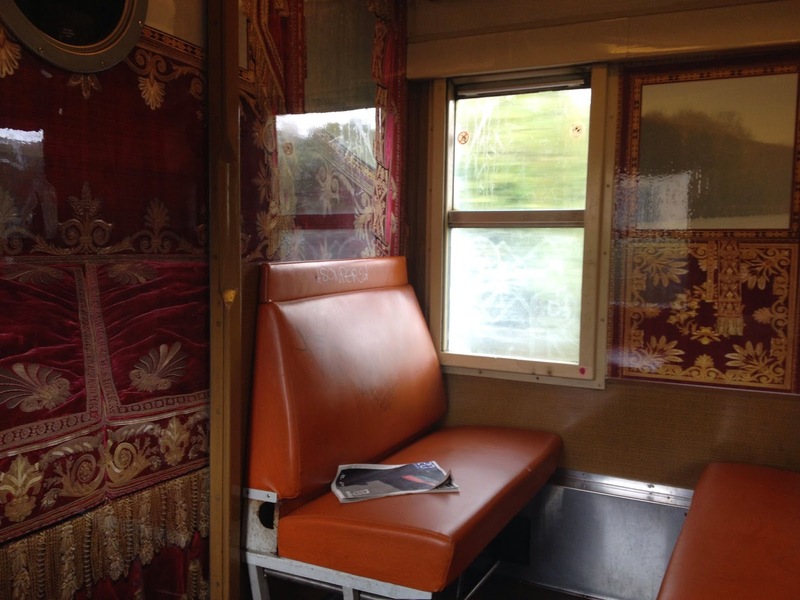 My gaudy train pulled into Versailles Chantiers and a young woman in front of me revealed a gold-embroidered crown on the pocket of her jeans as she lifted her glittery cardigan to retrieve her ticket. I looked at the station name again, and felt quite chilled. That morning, it hadn’t struck me. Changing trains here for the second time, I suddenly realised its significance. During and immediately after the slaughter of Bloody Week, about 43,000 suspected Communards were marched from Paris to prisons in and around Versailles. Conditions were unbelievable. The women prisoners at Versailles Chantiers were the subject of one of Eugene Appert’s now notorious photomontages: distorted, composite images created to justify the government’s extraordinarily brutal suppression of the Commune. At last I reached the Army Museum in its impressive setting at Les Invalides. How on earth would a museum like this deal with the subject of the slaughter that was carried out by the Army itself that terrible week in May 1871? I hunted high and low for an answer. There was indeed a large display that ended in 1870, where I encountered this National Guardsman. 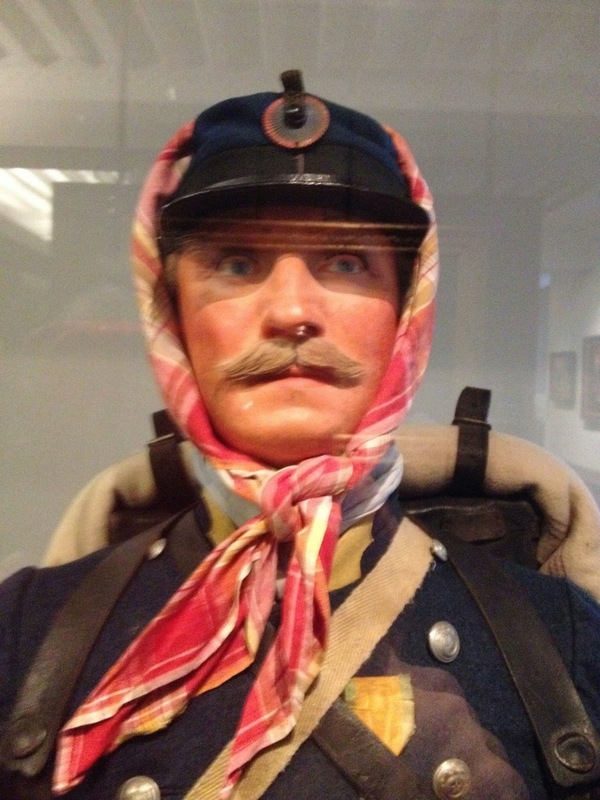 In another part of the building, another section of the museum took visitors from 1871 through to the two world wars. Of the massacre of approximately 20,000 people on the streets of Paris, there was no mention whatsoever. What a frustrating journey, Lydia. I go there for material occasionally. They have a small museum on one of the upper levels with a few cameras but it is mainly from the birth of the movie industry onwards. However, they might be able to lead you to a stills camera cache. Or tell you what has happened to the displays of the Nat Museum of Photography while the building is closed. The Commune is a period in French history that Parisians really don't like to talk about. A journalist friend suggested I might want to write a book on the subject but warned me that research material really needed some serious effort because little is available. So, bravo to you for getting down to this subject. When is your book due and do you have a title yet? I know very little about French history - will look forward to reading your book to find out more. The train looks amazing! Sorry, I have just realised that you did give us the title. I wrote at 6am! What a crushing disappointment - I really felt for you. But followed by that moment of utter serendipity on the train! I loved those photographs. Will you have time to visit the museum again? What really jumped out at me from this piece was the line "when Napoleon III fled to Chislehurst." Chislehurst? Why?? I suppose no one would think of looking for him there? It's definitely been my most challenging novel to write, for lots of reasons - and I hope I've got the balance right for a YA audience - but the whole process has been absolutely eye-opening. I've been very lucky to have had the support of an Arts Council Grant. Couldn't have done it without it. 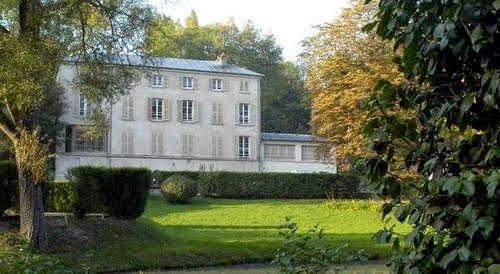 PS I will try the Cinematheque Francaise - good idea! Thanks! Oh but you must visit the Bradford Museum. which also covers cinema and TV. It is wonderful so allow more than one day. 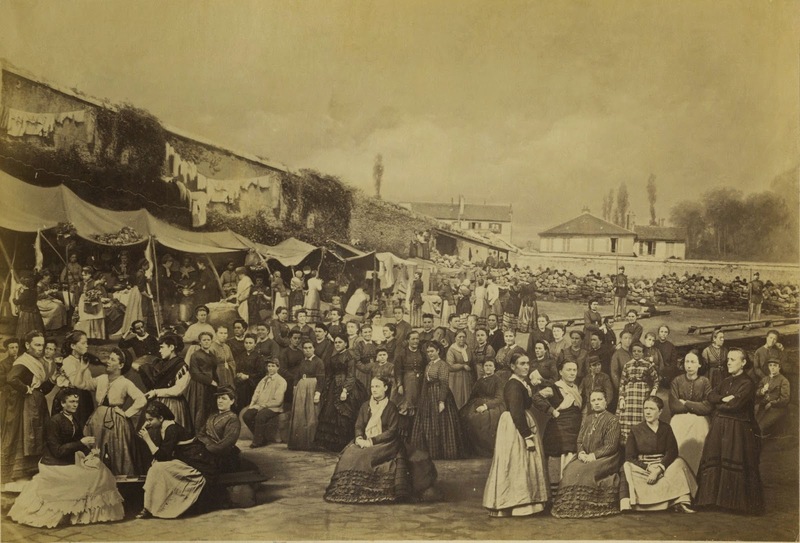 The history of photography from its earliest days is well displayed. Even seeing my very first Kodak camera I had in 1950-something on display was a thrill! I hear the Bradford museum is excellent. Alas, I am so rarely in London let alone Bradford… I would love to visit it though, one day. Coincidentally, I have recently delivered an article to Mail on Sunday Travel about Biarritz where Napoléon and Eugénie built a summer villa and it was during this research that I discovered the Chislehurst link. I was at school in Bromley so it was a curious discovery to make. I know how annoying your journey must have been but to find the gap, to know the gap is there is very interesting, we have the odd gap in our own systems, but to find a whole campaign missing makes for an interesting story, when did they stop including it, and where are the items from it? However, visitors, please do check what's available at the Bradford Museum carefully, and what collections you might be able to study as it is one of a trio of Northern museums constantly under threat. The items might be there but the staff to supervise access might not. (I sometimes wonder if only the presence of the old Playschool toys keeps the Bradford Media Museum going.) It is in the centre of the city, though. Yes, a good lesson about visiting many museums these days, sadly.